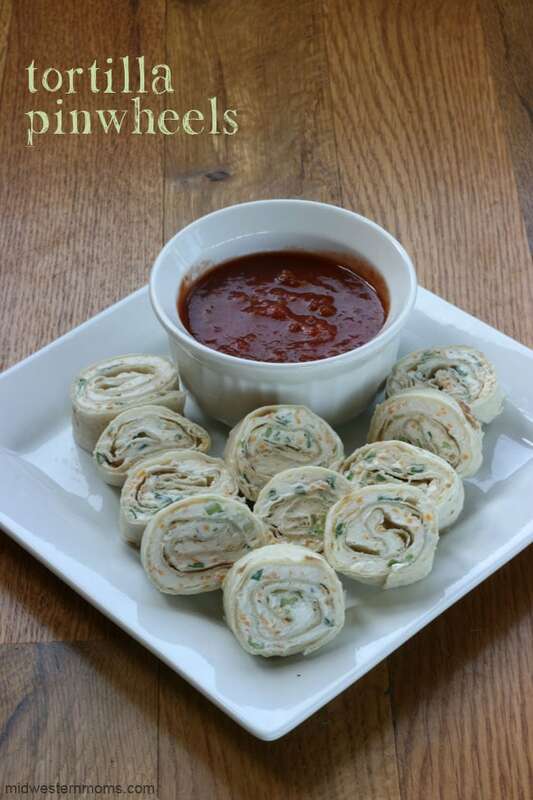 Tortilla Pinwheels is an easy snack or appetizer recipe! Perfect for gathering with family and friends. It’s summer time! Many of us will be visiting family, going on outdoor activities, or even on a picnic. I love to make simple tasty treats during the summer time – especially when I don’t have to turn on the stove or oven. 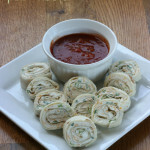 One of my favorite easy summer treats to make is tortilla pinwheels. These tortilla pinwheels are just the right amount of sweet with spicy. Dipping them in salsa is wonderful but are just as good without the salsa. Perfect finger food recipe for gathering with friends and family! Perfect finger food snack for gatherings. Combine sour cream, cream cheese, green onions, cheddar cheese, lime juice, and jalapeno pepper in a bowl. Lay 1 tortilla flat and spread some of the mixture on the tortilla. Repeat till mixture is used. To serve, cut the tortillas into 1 inch pieces. This is a must try. This would be a perfect snack for when you have company. I made this tonight! Thanks Devon. These sound fantastic! I have all the ingredients now and may make them tonight! They are super good. Hope you enjoy them!